We welcome all visitors to worship with us. We hope that you find our services a blessing to you. Christians, regardless of age, are welcome to receive communion. 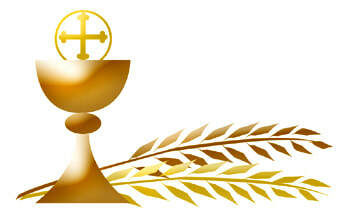 To receive the Bread, cross one hand over the other, palm open and lifted so the priest can place it in your palm. To receive the wine, tip the base of the chalice to assist in guiding the chalice to your lips. You may also hold the bread and dip it in the wine if you prefer. ​If you wish to receive a blessing, please cross your arms over your chest. Please cross your arms over your chest to indicate that you wish to receive a blessing only. book at the entrance of the church. Please reach out to anyone in the congregation if you have any questions. We invite you to consider making St. Luke's your church home. We would love to have you! You will find that at St. Luke's, you are family. Please click to the right of this tab to view the services.